Needed to make a finger food dish for an upcoming party tonight and wanted to try out something new, and ran across a recipe for cheese tortellini skewers with tomatoes and snap peas, marinated in a champagne vinegar/dill dressing. It turned out great, like eating pasta salad on a stick. I modified the recipe quite a bit from the original, if anyone’s interested, I’ll write up the instructions on how to make it. Came together quick and easy, and could easily be made vegan with vegan tortellini (or ravioli) from your local natural foods store. Below is a pic of the skewers prior to soaking them in the marinade! 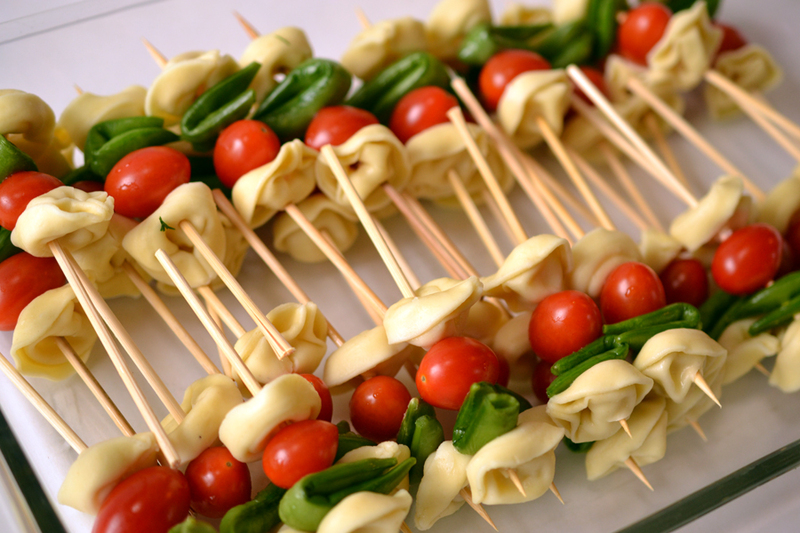 One Comment on "Tortellini skewers with dill and champagne vinegar dressing"
Looks like a yummy and great idea! I’d love for you to post the recipe! !